Whether you’re 9 years or 99 years old, dental care is important. If you’re 65 or older, and you’re considered a senior citizen (even though we hope you still feel 35! ), it’s especially important to keep a keen eye on your oral health. After all, poor oral health can have a negative effect on your overall health and well-being, as gum disease has been potentially linked to a whole host of issues including stroke, high blood pressure, and even heart disease. So as a senior, what should you do to protect your oral health and keep your gums and teeth healthy and happy? In this article, we’re going to share a few of the most common dental issues faced by seniors, and give you six specific tips on how you can continue to maintain a healthy mouth well into your golden years. 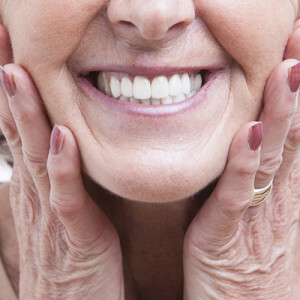 What are a few of the most common dental problems for seniors? ● Darkened teeth. This can be caused by changes in dentin as you age, or could be caused by smoking or drinking too many dark beverages. Depending on the cause, teeth whitening may help. ● Tooth decay. Your teeth have a lot of wear and tear over the years, and as a result, tooth decay is a common issue for seniors. ● Dry mouth and/or bad breath (halitosis). Dry mouth or gum disease can be the cause of chronic bad breath, known as halitosis. We can talk with you about your options for helping eliminate or manage chronic bad breath. ● The loss of one or more teeth. This can be due to gum disease, dental trauma, and more. We provide many treatment options for patients who are missing teeth. If you have any of these problems, you should see a dentist immediately, and if you’re in or around the Alpharetta, GA area, we encourage you to contact us, as we would love to help you get your oral health back on track. When some people get into their 60s and they are no longer having to go to work every day or shuffle the kids around all of the time, they tend to overlook their health and wellness as a whole. In reality, you should do the opposite, especially when it comes to your dental health. As you get older, your teeth and gums inevitably have more “wear and tear” on them than when you were younger. This means that you actually need to be even more aware of your oral health, and take the necessary steps to keep your teeth and gums clean. At Advanced Cosmetic & Family Dentistry, we recommend that you brush your teeth twice a day for approximately two minutes. It’s important to brush gently and thoroughly but doesn’t overbrush. Brushing too hard (or using a toothpaste that is too abrasive) can actually wear down your teeth enamel, which isn’t good. Flossing is such a simple habit, yet many people don’t do it. Most estimates put adults who floss daily between 30-50%. Flossing removes small food particles, debris, and bacteria from between your teeth, and can be done in less than a minute. If you’re a senior, and you’ve never made flossing part of your daily oral hygiene routine, get started now. Many seniors are opting to replace their removable dentures with a fixed denture or dental implants (more on that below). However, if you currently wear a removable denture, it’s important to clean it daily, since any bacteria or debris on your denture will likely come into contact with your gums, which could increase your chances of getting gum disease. Even if you already have gum disease, you still want to care for your dentures appropriately, as gum disease can quickly accelerate into a more advanced stage called periodontal disease, which can, in turn, lead to a wide variety of health issues. It’s not uncommon for senior citizens (especially men) to use the bathroom more in their old age. As a result, some senior citizens actively try to drink less so they won’t have to go as often. While this is certainly understandable, staying adequately hydrated is not only important for your overall health, it’s important for your dental health as well. In addition to upping your water intake, you may want to talk with your doctor to see if any of your medications may cause dry mouth, and if there are any other alternative medications you can try instead. Many seniors are missing one or more teeth. In some cases, this is due to years of neglect or poor dental hygiene, and in other cases, it can simply be attributed to wear and tear over the years, as well as genetics. The reason you’re missing your teeth isn’t that important, but what is important is getting the care and treatment you need to replace your missing teeth. ● A lack of self-confidence. You don’t want to smile because you don’t want others to see your missing or decaying teeth. ● A sunken look in your face. Teeth provide structure for our faces, and when several teeth are missing, it can change the symmetry and structure of the face. Dental implants can help to restore your natural smile and make you look younger. ● Difficulty eating certain foods. It’s impossible to eat certain foods when you’re missing teeth (or even if you have dentures). Dental implants are titanium screws that provide the same anchoring effect as a natural tooth root. The result is you can eat just about anything you want without worrying if your teeth will shift. It’s no secret that alcohol and tobacco products are bad for your teeth and gums, but so are soft drinks. Listen, we’re not saying that you shouldn’t ever drink a soft drink again, but you should be aware that some of them are highly acidic, and that acid can wear down your enamel over time. In addition to soft drinks, many citrus fruits are also high in acid content and should be consumed in moderation. So…have you been to the dentist lately? If you’re a senior living in or visiting the Alpharetta area, and you haven’t been to the dentist in awhile, now is the perfect time to go ahead and schedule your next appointment. At Advanced Cosmetic & Family Dentistry, Dr. Brett Silverman and his team love taking care of patients of all ages, and have a special place in hearts for seniors! To book your appointment, you can call us today at 678-245-6816. We can’t wait to meet you! Be honest... When you look in the mirror, do you love the smile that is staring back at you? Are you comfortable walking into a room full of people and smiling your biggest, brightest smile? Is your smile a source of self-confidence or does it actually hurt your self-esteem? When considering veneers, it’s important to understand your “why” (and be as specific as possible). What will improving your smile do for you? How will it make your life better? In this article, we’re going to share information on porcelain veneers, and provide three distinct, “real life” scenarios where veneers would be the perfect solution. Simply put, veneers are one of the most common cosmetic dentistry procedures, as they are designed to improve the look of your teeth when you smile. Have you ever seen someone with seemingly perfect teeth? There is a good chance you’re actually looking at their porcelain veneers! With the thickness (or thinness we should say) of a contact lens, veneers are designed to give you the ideal shape and color for a perfect smile. And so much more. Veneers do require removing some tooth enamel, so the procedure is not reversible. That being said, most patients find that veneers are well worth it, and can last 10 or more years with proper care. Let’s move on to three “real life” scenarios where a person may choose to improve their smile with porcelain veneers. Do any of these sound familiar? Which one do you identify most with? In many cases, the desire to improve your smile is triggered by an important life event. This could be a wedding, graduation, class reunion, or one of the many other important events in life. If you have something on the calendar months down the road and you know that you want to look nothing less than your best, now is the perfect time to give our Alpharetta, GA dental practice a call and ask about porcelain veneers. It’s no secret that when other people close to you in your career (clients, bosses, etc.) know, like, and trust you, it makes being successful a little easier. Sure, having a great smile isn’t a “magic bullet” to a successful career, but it can help. The bottom line: it’s good for those around you who can positively influence your career to find your smile personable, pleasant, and attractive. Scenario #3: Veneers...because it’s just time for a new smile! This scenario is quite common. Maybe there isn’t a specific trigger event per se, but you’ve just realized over time that your self-confidence has taken a hit and maybe your smile is partially to blame. Porcelain veneers can give you an entirely new, confident look by ensuring your teeth that show when you smile are the perfect color and shape. Sometimes, you just need a little something positive to turn that frown upside down. So what is the next step? Discuss porcelain veneers with our cosmetic dentist today! If you live or work in or around the Alpharetta, GA area, the team at Advanced Cosmetic & Family Dentistry will be glad to work with you to achieve your dream smile with porcelain veneers. To determine if you are a good candidate for veneers, call our office today and let us know you would like to schedule a cosmetic dentistry consultation. We look forward to meeting you and welcoming you to our family! Here at Advanced Cosmetic and Family Dentistry in Georgia, we love to stay at the cutting edge of technology. We’re always looking for ways to improve our patient’s experience by reducing treatment time and improving comfort, by strengthening your smile, and ensuring you stay healthy. While many people tend to think of oral health focusing on bad breath and cavities, it’s important to remember that oral health can also dramatically affect your overall health. We recently discussed the surprising link between gum disease and heart health, and today we’ll talk about oral health and cancer. One recent technological advancement we’re excited about is a new handheld, pen-sized microscope that may help us identify cancer cells earlier than ever before. Catching oral cancer early makes survival far more likely. In this instance, advanced technology isn’t just about making our jobs or the patient’s experience better; it’s about saving lives. Oral cancer can occur in either the mouth or back of the throat. Cancer occurs when cells in one’s mouth or lips experience mutations in the DNA. The mutations cause cancer cells to grow and divide, replacing healthy cells as they die. 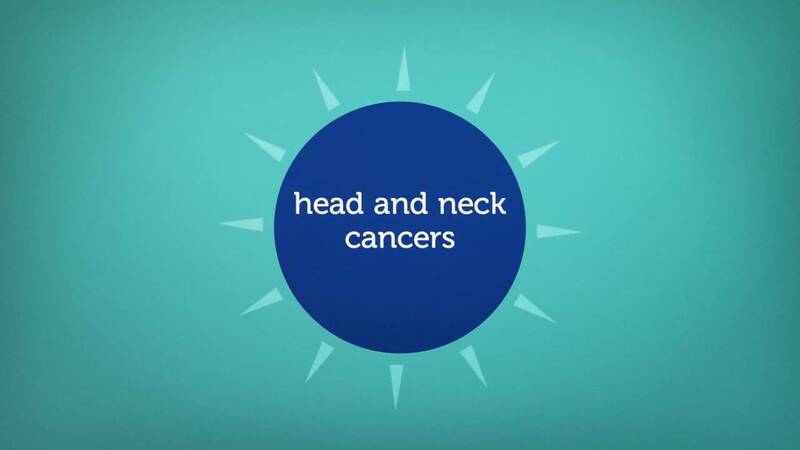 As the cancer cells grow and multiply, they become one large tumor and spread around the mouth or to other areas of the head, neck, and body. It’s important to note that the Mouth Cancer Foundation reports that 90 percent of people with oral cancer consume tobacco. Smokeless tobacco increases your chances of having oral cancer by 50 times. Combining alcohol with tobacco makes the risk even higher. It should be remembered, however, that taking care of your mouth and body can help prevent cancer, but there are no guarantees and it could happen to anyone. There are several signs and symptoms of oral cancer. If you experience any of these for more than two weeks, you should schedule an appointment with your dentist to get things checked out. There is a good chance you don’t have cancer, but catching it early makes treatment much easier. Even if you don’t have cancer, there could still be an oral health issue that your dentist should be aware of and could likely solve. As you can see, many of these symptoms could mean things other than oral cancer. Regardless of the cause, however, your dentist should be made aware of your symptoms so an adequate treatment plan can be implemented. An oral cancer exam is easy, painless, and only takes a few minutes. In fact, it can be part of your regular check-up and cleaning. Your dentist will examine your gums, cheeks, face, glands, and tongue for any abnormalities or warning signs of oral cancer. Dentists are trained well and know what to look for, and they can see things that you cannot see yourself in the mirror. If we discover anything suspicious, a quick biopsy will determine what is required for treatment, whether it be surgery or something non-invasive. And this is where this new microscope can advance cancer cell recognition and potentially change the outcome for oral cancer patients. The handheld device uses an innovative approach called “dual-axis confocal microscopy.” This illuminates things so dentists can actually see and capture details half a millimeter beneath the tissue surface. Since many cancer cells originate beneath the surface, dentists can recognize oral cancer earlier than ever before. The device isn’t quite ready yet, but researchers should begin testing it in clinical settings next year. The hope then, is that this handheld microscope will be available in the next 2 to 4 years. Whatever the timeline, you can rest assured knowing that Advanced Cosmetic and Family Dentistry will be following the news closely, looking to make sure our patients always receive the best and most advanced treatments available. We strongly recommend you receive a dedicated and comprehensive oral cancer screening every year. Even if you don’t recognize symptoms, it’s important to routinely check for oral cancer. In many cases, a dentist will be the first to recognize the symptoms. As we said before, this can be added into your regular cleaning and check-up…just ask! If you’re in the Alpharetta, GA area and are looking for a dentist who has experience and expertise in recognizing and planning treatments for oral cancer, then look no further than Dr. Silverman at Advanced Cosmetic and Family Dentistry. Our patient’s health is of the utmost importance to us, and we will give you an excellent experience. Contact us today to schedule a check-up or an oral cancer exam. Tooth Pulp Healing? The End of Dental Fillings? Have you ever wished for a world where you never needed to get a dental filling? Good news might be on the horizon - researchers in London have discovered a drug that helps restore healthy teeth naturally. In this article, we’ll discuss how the drug works, what it means (and doesn’t mean) for patients, and what it means for dentistry. How is tooth decay treated today? Tooth pulp is the soft, center part of your tooth. It is full of nerves and provides vitality to the tooth. When your tooth is damaged from something like a cavity, the pulp could get infected. Our body has a natural defense against this, however. A thin layer of dentin (the hard, calcified tissue that makes up the bulk of a tooth) is formed around the hole to help protect the pulp from outside material. Some cavities, however, are too big and the body’s ability to create dentin is not sufficient to protect the pulp. If the pulp gets damaged, then root canal therapy is required to save the tooth, but sometimes the tooth must be removed altogether. In order to protect the pulp, dentists will often fill the cavity with something like a composite filling. Composite fillings are far superior to the metal fillings of decades past. They match the natural look of your tooth and provide strength and stability to the tooth. Your teeth are living things, but composite fillings, of course, are not. While they can fill the holes in teeth and protect the tooth pulp, we would all prefer a world in which your natural tooth can heal itself. How can teeth repair themselves? Researchers have been exploring ways to improve the health of teeth. Lead researcher, Paul Sharpe, recognized that "teeth have a limited ability to repair themselves by activating their own stem cells.” Their goal was to find a way to enhance the tooth’s natural ability to heal itself. As it turns out, a drug known as Tideglusib that was created for Alzheimer’s treatment has shown it can improve the healing ability of teeth. Researchers tested the drug on mice by placing Tideglusib on a biodegradable sponge and then filled a cavity hole with the sponge. As the sponge dissolved, it was replaced by dentin and led to the full restoration of teeth in 6 weeks. This won’t be ready tomorrow: There is still quite a bit of research to be done to determine if this is a safe and effective treatment for humans. If it works, it could be several years away. But it might be ready sooner than you think: Because Tideglusib was already approved for testing with Alzheimer’s patients (they found it wasn’t effective for that disease unfortunately), it may speed the process of testing this treatment with humans. You still need to take care of your teeth: This won’t be a pill that suddenly solves all your oral problems. Good oral hygiene and prevention are still going to be the best way to fight tooth decay. If you have a cavity today, you’ll need a filling: Unfortunately, cavities require quick treatment. You won’t be able to put off treatment for a few years in the hopes of a potential new treatment reducing the need for fillings. We’re working to find the best solutions for our patients: the world of dentistry keeps getting better and better. Just like how we moved from metal fillings to composite fillings, we’re always looking to improve the services we provide. This means patients can look forward to the future. This is an exciting possibility for dentists everywhere. Here at Advanced Cosmetic & Family Dentistry, our goal is to always stay on the cutting edge of technology and research so that we can provide our patients with the best possible care. The process of applying Tideglusib is very similar to a normal cavity filling. Instead of placing an artificial filler, dentists will encourage the natural growth of dentin. This means you’ll still need to visit your dentist for treatment of cavities. While there is still a lot of research to be done before it’s determined that Tideglusib is a safe and viable way to heal tooth pulp, we will be watching closely to see where the research goes and what it means for our patients. In the meantime, if you require a dental checkup, treatment for tooth decay, or any other dental service, look no further than Advanced Cosmetic & Family Dentistry. Based in the Alpharetta, GA area, we love working with patients to give them healthy, beautiful smiles they can be proud of. Contact us today to schedule an appointment. Could this drug mean the end of dental fillings? Did you know that more than 47% of adults over the age of 30 suffer from gum disease? In fact, some patients do not even realize they have it because it can be painless. While gum disease may not always hurt, it can still cause significant damage to your oral health and your heart health. In this article, we’ll explain what gum disease, also known as periodontal disease, actually is, the link it has with heart health, and how you can prevent and treat it to maintain a healthy lifestyle. Periodontal disease is the medical name for gum disease. “Peri" means “around” and "odontal" means “teeth.” Put simply, it is an infection in the tissues that surround and support your teeth. Gums are obviously included here, but it can also include the cementum, the periodontal ligament, and the alveolar bone. Periodontal disease is caused by the bacteria in plaque that sticks to your teeth. If that plaque is not regularly removed by brushing and flossing, it can enter the gums and cause infection. Inflammation is the body’s natural response to infection, which is why one of the early signs of gum disease is inflammation of your gums. The infection can spread, leading to painful gum recession, bleeding, and even tooth loss. If the bacteria from gum disease gets into your bloodstream, it can cause problems in the rest of your body as well, which is discussed below. The earliest stage of gum disease is called gingivitis. You can recognize it because your gums may become red, swollen, and bleed easily. While you might be tempted to avoid the dentist because of gingivitis, imagine how quickly you would call the doctor if your hands bled every time you washed them? Furthermore, if the disease is treated at this point, it is still reversible and can usually be resolved with the help of a professional cleaning by your dentist. As gum disease progresses, it becomes periodontitis. At this stage, you begin to face more serious repercussions to your oral health. The infection can cause the loss of tissue, bone, and even teeth. Treatment for periodontitis is more complicated than gingivitis, but it must be done and is crucial for the health of your mouth and body. Is There Really a Link Between Gum Disease and Heart Health? While gum disease might seem inconvenient, few people recognize the impact it can have on your health. For instance, did you know that research shows that people with periodontal disease are almost twice as likely to have heart disease? 800,000 Americans die from cardiovascular disease each year, and so we must treat gum disease seriously. This means that your dentist not only can help give you a healthy heart, he or she can often recognize the signs of bodily health issues before anyone else. This is one of the many reasons we recommend regular cleanings and checkups with your dentist. Obviously, some of these factors can be controlled (like oral hygiene or use of tobacco) and some of these factors cannot (like genetics). Focusing on the things you can control is the best way to prevent gum disease. Brushing your teeth and flossing are obviously important, but so are regular cleanings at the dentist. Dental offices are equipped to give your teeth a deep clean and remove early signs of infection in places that are difficult to reach with a toothbrush and floss. The first step is to schedule an appointment with your dentist. Depending on the severity of your periodontal disease, the dentist will decide the best way to treat your situation. It may only require a professional cleaning and ramping up your oral hygiene habits or it could require something more. If your condition has already progressed to periodontitis, the most effective treatment will likely involve scaling and planing, which cleans between the teeth and gums to remove the infection. The dentist may also prescribe an antibiotic treatment to help clear out the infection. Patients with advanced gum disease will need regular appointments to ensure the condition does not progress. If you suspect you have gum disease, then contact your dentist for an assessment as soon as possible. Both your oral health and heart health are too important, so don’t ignore gum disease! If you’re in the Alpharetta, GA area and are looking for a gentle and experienced dentist, then contact us at Advanced Cosmetic & Family Dentistry. Dr. Silverman has significant experience with treating gum disease and will make sure you are well looked after. We look forward to meeting you! The loss of a child’s first tooth is an unstated rite of passage usually characterized by excitement and toothless grins. Your little bundle of joy is now a bit closer toward becoming an adult. The baby tooth that has just fallen out is making way for a permanent (“adult”) tooth. But after the photos have been captured and the congratulations have been offered, parents ought to think about how best to protect their little ones’ new adult teeth. Dental sealants, for instance, are one way to give your child a head start on maintaining a healthy mouth for their lifetime. Dental sealants are thin, plastic coatings applied to the chewing surfaces of teeth. These are usually applied to molars or premolars - teeth that have deep grooves or depressions - to add an extra layer of protection against tooth decay and cavities. Imagine dental sealants as a shield to deflect food particles and bacteria from your child’s hard-to-reach, back teeth. Usually, the most cavity prone years in a person’s life are between ages 6-14, when sugar intake is high and thorough oral hygiene routines are short. Therefore, children who have new permanent teeth are great candidates for dental sealants. In fact, a recent report published by the U.S. Centers for Disease Control and Prevention concluded that sealants were an extremely effective method for preventing cavities on permanent back teeth, but that a majority of children do not have them. Furthermore, this same report speculated that children aged 6-11 who do not have sealants have nearly three times more cavities on their first molars than children of the same age who do have sealants. Dental sealants are not only for school-aged children, however. Your dentist may recommend dental sealants for adults who do not have fillings or tooth decay on their molars, to provide the same protection. Some cases may even call for sealants on baby teeth to help prevent tooth decay (just like in children and adults) that can lead to early loss. So How do Dentists Apply Sealants? First and foremost, it’s important to know that the process of applying sealants is quick and painless for the patient. Children have nothing to fear! The tooth is cleaned and dried thoroughly. Absorbent material, such as a cotton ball, is placed around the tooth to keep it dry. A solution is painted on the chewing surface of the tooth, to provide a bit of abrasion to the tooth and prepare it for stronger bonding. The solution is rinsed off and the tooth is dried. The sealant is painted onto the tooth enamel to bond and harden. A special light may be used to further harden the sealant. Sealants typically last up to 10 years, but your dentist will monitor them at each check-up to look for signs of wear or chipping. That means that when you invest in the health of your child’s teeth with sealants, you’re making an investment that will last. The bottom line is: sealants will help you or your child avoid tooth decay. Brushing and flossing help remove food particles and bad bacteria from the surfaces of your teeth, but hard-to-reach back teeth often need a little bit more protection. It’s always easier, cheaper, and less painful to prevent dental issues then to address them after they’ve become a problem. That’s why “sealing out” tooth decay before it starts can save you and your child time, worry and money in the future. Talk to your dentist today about giving your child a head start to a healthy smile. If you’re looking for a dentist in the Alpharetta area, then you should know that the team at Advanced Cosmetic and Family Dentistry uses the latest technology and we will also provide a comfortable and calm experience for you or your child. Contact our team today to inquire about dental sealants and schedule your next appointment. Do you have silver or gold dental fillings? Go ahead and count how many you have in your mouth. Do you have more than 8 gold or silver fillings? If so, you most likely have elevated, toxic mercury levels in your blood. How do we know? The researchers of the study (titled “Associations of blood mercury, inorganic mercury, methyl mercury and bisphenol A with dental surface restorations in the U.S. population, NHANES 2003–2004 and 2010–2012”) analyzed certain types of mercury commonly found in dental fillings; and as we know, high levels of mercury is toxic to anyone’s body. Furthermore, if you have multiple fillings and are exposed to mercury through consumption of seafood or within your work environment, you’re at an even higher risk for toxic levels of mercury in your blood. Highlights of the study—what does it mean for you? Mercury was associated with dental fillings. The researchers found significant positive correlations between the level of mercury in the blood and dental restorations (fillings). This raises major concern for patients who are concerned about mercury exposure. The study found that people who have more than eight fillings had approximately 150% more mercury in their blood versus those people who have less than eight fillings. Composite white fillings are a healthier, mercury-free alternative to amalgam fillings (metal fillings filled with mercury). Dr. Silverman at Advanced Cosmetic and Family Dentistry offers composite white fillings at his dental practice. Another option that may become available much later down the road is a dental filling that can actually inhibit bacterial decay, which is presented by Professor Robert Hill, Chair of Physical Sciences at the Institute of Dentistry at Queen Mary University of London and co-founder and director of research at BioMin Technologies. The new technology has bioactive glass composites that release fluoride, calcium, and phosphate to form tooth material. The bioactive glass composites also pose more benefits to patients, of which you can read about in the following article: https://www.sciencedaily.com/releases/2016/09/160926100014.htm. Bioactive glass composites may become available in the upcoming years, especially since international talks and agreements want to eliminate mercury-laden fillings by 2020. If you currently have one or more mercury-laden, metal filling in your mouth that you’d like to get removed and replaced, call Advanced Cosmetic and Family Dentistry in Alpharetta, GA.
We can safely remove metal fillings, thereby decreasing the level of mercury toxicity in your body. To schedule your appointment, call us or contact us via our website. Our contact information can be found on the following page: http://www.acfdga.com/contact-us/. In the meantime, prior to your appointment with Dr. Silverman, we invite you to watch our patient testimonial videos: http://www.acfdga.com/testimonials/. The full version of the mercury toxicity study (titled “Associations of blood mercury, inorganic mercury, methyl mercury and bisphenol A with dental surface restorations in the U.S. population, NHANES 2003–2004 and 2010–2012”) is scheduled to be published in the December publication of Ecotoxicology and Environmental Safety. Is Invisalign Better Than Traditional Metal Braces? Is Invisalign a better treatment option than traditional metal braces? Now that’s a loaded question! If you’re in the Alpharetta area and you’ve been considering Invisalign or any form of teeth correction, this is an important article for you to read. You’re going to learn what Invisalign is, how it works, and whether or not it is the “best” treatment option for you. Before we get into the details, it’s a good idea to give a brief overview of Invisalign. The Invisalign system was developed in 1997. By 1999 it had been approved by the FDA and was on the market in the United States. Fast forward a few years and Invisalign is the most popular clear aligners alternative on the market today, with millions of patients having received treatment. So how does it work? What is the average treatment time? The Invisalign system is unique in that it uses a series of aligners to gradually straighten your teeth over time. Typically, you’ll wear a series of aligners for two weeks before moving on to a new set of aligners. If you choose Invisalign treatment from Dr. Silverman he will want to see you every 6 weeks to ensure treatment is going as planned, and that you are still on course for a successful outcome. The entire process typically takes anywhere from 12-18 months, but can be slightly shorter or longer depending on the severity of your malocclusion (overbite, underbite, crossbite, etc.). The end result is that you will have much straighter teeth without ever having to wear traditional metal braces. Given that metal braces has a certain social stigma amongst adults, Invisalign is a treatment that is usually tailored toward adults or older teenagers. A nearly invisible solution for straightening your teeth. Most people won’t even realize you are wearing them. Invisalign aligners are removable. You can take them out to eat and you can also remove them for a few hours if you have a big event, such as a wedding or class reunion. You get new aligners every two weeks. You’ll work with Dr. Silverman throughout the entire process to ensure your aligners fit correctly and that your treatment is progressing in the right direction. To read more about Invisalign, including how to schedule your meeting with Dr. Silverman to discuss treatment in more detail, visit our dedicated Invisalign page here. Does this mean Invisalign is better than traditional braces? Traditional braces from an orthodontist are a great way to straighten teeth; there is no doubt about that. Invisalign isn’t necessarily a “more effective” treatment than braces, but for many adults who want to straighten their teeth without metal braces, Invisalign does seem to be the better alternative. It really comes down to what your goals are, and more importantly, what type of treatment you are looking to avoid. At Advanced Cosmetic & Family Dentistry in Alpharetta, we have adult patients all of the time tell us how grateful they are for Invisalign treatment, as they can get straight teeth like they’ve always wanted without the metal mouth! Are you an adult or teen looking for nearly invisible braces? If you’re tired of crooked, crowded teeth and you want the results that braces can provide without the look of traditional metal braces, Invisalign may be the perfect treatment for you. To schedule your Invisalign appointment with Dr. Silverman give our office a call today or contact us right here on our website. You don’t have to go another day, week, month, or year with crooked teeth. Call us today to schedule your Invisalign appointment. Alpharetta Residents: Donate Your Halloween Candy to Support Our Troops & First Responders! Taking candy from children is usually frowned upon, but teaching kids the value of giving back by donating their excess Halloween candy in support of U.S. troops and first responders is a win-win for kids, parents, and dentists alike. This Halloween, local trick-or-treaters will join kids across the nation when they bring their Halloween candy and handwritten letters of gratitude to Advanced Cosmetic & Family Dentistry. The goodies will be shipped to Operation Gratitude for inclusion in care packages to deployed U.S. service members and to first responders serving here at home. Dr. Brett Silverman is proud to participate in the Operation Gratitude Halloween GIVE-Back Program to reduce excess sugar consumption, prevent dental decay, and teach children the importance of saying “thank you” to all who serve. Americans spend an estimated $2.5 billion dollars on a whopping 600 million pounds of Halloween candy each year. In 2015 alone, 294 tons of that candy was sent to Operation Gratitude for distribution through its Care Package Programs. "Operation Gratitude has shipped more than 1.6 million care packages that include items such as DVDs, handmade scarves, and hygiene products. Halloween candy is a wonderful addition to these packages," says Operation Gratitude's founder, Carolyn Blashek. Candy and handwritten letters or drawings to service members will be collected. In addition, we will provide paper and writing utensils for anyone who would like to write a letter. Here’s a little more information about the cause you will be supporting by donating Halloween candy to our office! Operation Gratitude is a 501(c)(3) nonprofit, volunteer-based organization that seeks to lift spirits and meet the evolving needs of the U.S. military and first responder communities. They provide volunteer opportunities for Americans to express their appreciation to all who serve our nation. Every year, Operation Gratitude sends 200,000+ individually-addressed care packages to soldiers, sailors, airmen and Marines deployed overseas, to their children left behind, and to new recruits, veterans, first responders, wounded heroes and their caregivers. Each package contains food, hygiene products, entertainment and handmade items, as well as personal letters of support. Through collection drives, letter writing campaigns, craft projects and care package assembly events, Operation Gratitude provides civilians anywhere in America a way to say “thank you” through active, hands-on volunteerism. Believe it or not, this isn’t the first time we’ve heard this. The media has promoted this story before...they were wrong in the past and they are wrong today. What did the Government really say? Every five years, the U.S. Department of Health and Human Services (HHS) issues federal dietary guidelines. In 2015, the guidelines contained no recommendation for flossing. Naturally, the media jumped on this and decided it was because the government no longer supported flossing, but the media was wrong. In August, the Department of Health and Human services issued a statement to clarify things. The federal dietary guidelines are based on research done in the last few years. Since they decided to focus on the effects of sugar intake, no research had been done on flossing. Because of this, they chose not to include it in their guide. This doesn’t negate the importance of flossing, but the media blew the omission out of proportion. Not surprisingly, the American Dental Association (ADA) also considers interdental cleaning (such as flossing) an essential part of keeping your mouth healthy. How does flossing support a healthy mouth? Did you know that plaque can contain more than 500 bacterial species? While some are good for your mouth, many are bad. When plaque and food debris build up around your teeth, it promotes tooth decay and gum disease. This is because the acid from the bacteria can expedite tooth decay and your immune system can cause inflammation of the gums to fight against the bacteria in the plaque. Your teeth have multiple surfaces and brushing can’t always reach them all. Flossing, however, enables you to reach those difficult areas and remove plaque, preventing further tooth decay or gingivitis. Both the HHS and the ADA recommend interdental cleaners, but this doesn’t always mean floss. Interdental cleaning simply means cleaning between your teeth. While floss is the most common method, there are several options. Dental picks, pre-threaded flossers, tiny brushes, water flossers, or wooden plaque removers are all viable options. The best idea is to talk to your dentist about the best interdental cleaner for your teeth. Depending on the space between your teeth, certain options might work better than others. It’s also important to learn how to properly use your interdental cleaner, otherwise you risk hurting your gums. Gently guide the floss along the sides of your teeth. You don’t want to be too rough and hurt yourself, but you do need to remove the food and plaque. Floss between all your teeth, especially your back molars since they do much of the grunt work in eating. Additionally, it doesn’t really matter when you floss. Some people floss before they brush and others floss after they brush. The important thing, however, is that you floss. Flossing isn’t the only thing the HHS and ADA recommend for a healthy mouth. They also recommend you brush twice per day and visit your dentist on a regular basis. If you are located in Alpharetta, Georgia, then contact us today to set up an appointment. We can help you decide on the best interdental cleaner for you and teach you how to use it. We’ll also take special care to ensure you have a clean and healthy mouth, giving you a smile you can be proud of for years to come. We’re also equipped to treat gum disease and other issues that flossing can help prevent. A Smile Makeover with Dental Veneers: How Does it Work? When you get ready for work in the morning and take one last look in the mirror before you're out the door, do you feel confident? Or is there something about your appearance that makes you feel a little less confident? For many patients, their smile is something they are unhappy about. A less-than-beautiful smile can make you feel self-conscious and less confident. Many of our patients who choose smile makeovers can relate to this feeling. Well in this article we're going to talk about smile makeovers (sometimes called smile restorations or smile reconstructions) with dental veneers. How does the process work? What's involved? What can you expect from the porcelain veneers process and a smile makeover? First let's talk about the basics...how come people get smile makeovers? Now keep in mind these are just some of the reasons why people don't like the way their smile looks. There can be many more reasons, as well. Bottom line: if you are unhappy with your smile for any reason, a smile makeover will help you. Cosmetic dentistry to the rescue! A smile makeover can fix all of the problems previously listed. It's as simple as that! Our cosmetic dentist will create a customized treatment plan so we can re-create your smile and fix your smile problems. In addition to the fact that smile makeovers fix the previously mentioned problems, you can benefit even MORE. Once your smile makeover is finished, you won't feel self-conscious or ashamed of your smile — you’ll smile at every opportunity! So as you can see, you practically have nothing to lose and everything to gain. But what's included in a smile makeover? How do cosmetic dentists perform a smile makeover? Well, your cosmetic dentist will evaluate your smile and create a customized treatment plan to fix your smile. Your treatment plan will consist of any services you'll need in order to fix your smile problems. Common services for smile makeovers include: tooth bonding, dental veneers, teeth whitening, crowns, and more. 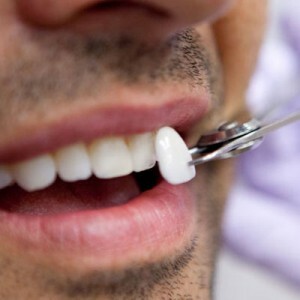 But the focus of today's article is on dental veneers and how the process works, so that's what we'll talk about next. The tooth will be prepared and shaped in order for the new veneer to fit perfectly. During this process, some of your natural tooth must be removed. The correct shade of white will be selected for the veneer. It will match with the rest of your teeth so you'll have a natural-looking smile. As a side note, if you are interested in teeth whitening, your cosmetic dentist may want you to whiten your teeth prior to getting veneers so that we can match the veneer properly. If necessary, your cosmetic dentist will take an impression in order to create and place a temporary veneer. The temporary will be worn until your next appointment. If necessary, the temporary will be removed. Your cosmetic dentist will temporarily place the veneer on the tooth to ensure proper fit and aesthetics. Once everything looks and feels good with the veneer, your cosmetic dentist will prepare the restoration. The tooth will get prepared for the bonding process. Your cosmetic dentist will permanently apply the veneer to the tooth for a secure, long-lasting fit. Finally, the tooth and veneer will be polished. Sometimes a follow-up appointment will be necessary in about a week. During this appointment, the dentist will make sure the gums have responded well to the new veneer. If there is anything you decide you don't like about the veneer (such as the shape or feel), let the dentist know. He or she will be able to fix it during this appointment. Choose dental veneers from our cosmetic dentist! If you are unhappy with your smile and you're ready for a change, call Advanced Cosmetic & Family Dentistry today. We are located in Alpharetta, GA.
Rest assured, our cosmetic dentist has many years of experience with smile makeovers and veneers. We love creating beautiful, flawless smiles and we're ready to create yours today. The first step is calling us to schedule a consultation appointment. We look forward to meeting you. So you just turned 40 years old and you can’t stand looking at yourself in the mirror. Why? Because you can’t stand looking at your crooked teeth day in and day out. You haven’t gotten braces yet because you don’t want that “metal-mouth” stigma to follow you around at work when your coworkers see your metal braces. Well, good news…there are other options nowadays besides metal braces to fix crooked, misaligned teeth. 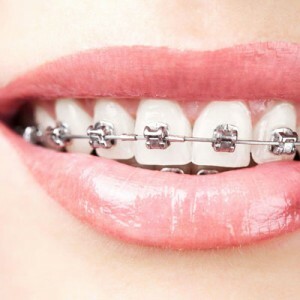 In this article, we’ll talk about adult braces, specifically clear braces that no one will even notice you’re wearing. So join us to learn more! We have exceptional orthodontic treatment options & other cosmetic dentistry services for adults. At Advanced Cosmetic and Family Dentistry in Alpharetta, GA, we provide effective orthodontic treatments to help our patients enjoy a beautiful smile and better oral health. Dr. Silverman is passionate about creating beautiful, healthy smiles…and he’s ready to create yours. The first step to finding out which adult braces option is best for you— call our office to schedule a cosmetic dentistry consultation. When you call us, tell us you’re interested in adult braces to fix your crooked teeth. (You can find our contact information by clicking on the following link: http://www.acfdga.com/contact-us/). We’ll schedule an appointment for you as soon as possible so you no longer have to feel ashamed to look in the mirror. At your appointment, discuss your concerns with Dr. Silverman. Tell him everything you don’t like about your smile, as well as the things you like. Based on your concerns and your oral health, Dr. Silverman will speak with you about your options, including your options for adult braces. Once we come to an agreement on how to fix your smile, we will create a customized treatment plan and schedule additional appointments. Several adult braces options exist nowadays—you’re not just stuck with metal braces as your only option. Adults with crooked teeth can get Invisalign clear braces if you are a good candidate. What makes someone a good candidate for Invisalign? A consultation with a cosmetic dentist is the BEST way to determine if you can get Invisalign clear aligners instead of metal braces. Is Invisalign Better than Braces? Who can get Invisalign clear braces? As mentioned, a consultation is the BEST way to determine if you can get Invisalign as an adult. If your teeth are crowded, Invisalign may be right for you. If your teeth are crooked, Invisalign might be able to straighten your teeth. If you have a pretty severe overbite, Invisalign might be able to fix that problem. If you have a pretty severe underbite, Invisalign may be the right solution for you. If you have gaps between your teeth, Invisalign can most likely fix this common dental problem. You see, Invisalign can fix a lot of common dental problems. But as we said, the only way to find out if it’s right for you and to get started with treatment as soon as possible, is to call your cosmetic dentist. The sooner you start, the sooner you can feel proud of your smile. Speaking of time and getting started right away…how long will you need to wear Invisalign braces? Treatment time varies from patient to patient. However, treatment time for Invisalign is usually much shorter than treatment time for metal braces. This all depends on your unique dental situation, however. Once you and your dentist decide that Invisalign is right for you, he or she will create a treatment plan for you. This includes the period of time it will take to straighten your teeth and achieve the smile you deserve. 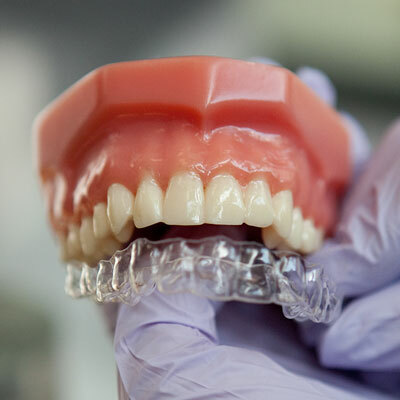 Your dentist will discuss the fact that patient compliance is crucial when wearing Invisalign clear aligners. You must wear the aligners for the specific amount of time that the dentist recommends. If you don’t comply, your treatment time will be prolonged. Patient compliance is critical with Invisalign, but well worth the effort once you see your beautiful smile! Call Advanced Cosmetic and Family Dentistry for your consultation. If you’re an adult who wants a beautiful smile filled with straight teeth and you need braces, call our office. Our office is conveniently located off of Old Milton Parkway, near Alpharetta High School and Kaiser Permanente Alpharetta Medical Center. There are several other restaurants and businesses nearby, as well. Is Wisdom Teeth Removal a Scam? Absolutely Not! Up-selling, scams, gimmicks…they’re all around us on a daily basis. When you go to the grocery store, you decide between the 1.5oz bag of chips or the 15.75oz “party size”— an up-sell in daily life. But you don’t expect to get scammed at the dentist office, right? Well, you’re absolutely right…no scams or up-sells or gimmicks here at Advanced Cosmetic and Family Dentistry. This holds true for wisdom teeth removal—no scams involved. Why would someone ever think that wisdom tooth removal is a scam? Do you really need your wisdom teeth taken out anyway? How come you can’t just leave them alone and forgo the wisdom tooth removal appointment? These are all valid, common questions that patients ask us…so let’s talk about this topic. Is wisdom tooth pain or discomfort serious? Will the pain/discomfort just go away on its own? Yes, wisdom tooth pain/discomfort is serious. Most of the time wisdom tooth pain will not go away on its own. You can take a pain reliever, but that will only take care of the short-term symptoms, while masking the real problem—you’ll probably need a wisdom tooth extraction, especially if the tooth is impacted. An impacted wisdom tooth can cause significant pain because the tooth cannot break through the gums (source: https://www.mayoclinic.org/tests-procedures/wisdom-tooth-extraction/about/pac-20395268). In the case of impacted wisdom teeth, the tooth (or teeth) should be removed in a timely manner. That means, if you’re experiencing any of these symptoms, call your dentist as soon as possible for an evaluation. Waiting a long time could increase the chances of more dental problems down the road. Ignoring wisdom tooth pain is NOT a good idea. Since wisdom tooth pain is an issue that needs to get taken care of right away, ignoring symptoms is NOT something you should do. Well, what symptoms should you be looking out for? When should you call the dentist for an evaluation? If you experience these symptoms, call your dentist right away. What happens if you don’t remove wisdom teeth? Regardless of whether or not your wisdom teeth are impacted, an extraction is oftentimes a necessary procedure. This is especially true for impacted wisdom teeth. Bottom line—if you’re having wisdom tooth pain or discomfort, call us right away. Since there will be more room in your mouth without the 4 wisdom teeth in there, the rest of your teeth will have the space they need to grow in straight, which means less tooth crowding. If you get your wisdom teeth out before they erupt, your 4 wisdom teeth won’t be there anymore, which means the surrounding teeth won’t shift positions if the wisdom teeth had the chance to erupt. The surrounding teeth won’t get damaged when the wisdom teeth erupt. So you see, there are quite a few benefits of wisdom tooth removal and it’s not a scam! Now you know that wisdom tooth extractions are not scams, up-sells, or gimmicks! It is a necessary procedure for a lot of patients. If you need a wisdom tooth removed, call Advanced Cosmetic and Family Dentistry at 678-245-6816. If you are suffering from pain in the back of your mouth and you think it may be wisdom tooth problems, call us. Dr. Silverman can perform a thorough evaluation and take x-rays to determine if you need an extraction. In fact, if you haven’t had dental x-rays taken within the past year, schedule your appointment today. You can find all of our office contact information on the following page: http://www.acfdga.com/contact-us/. The number of people who are missing one or more natural teeth may surprise you. Recently we came across some statistics that we’d like to share with you — statistics that pertain to missing teeth. As you soon will see from the health statistics provided below (source: http://www.statemaster.com/red/graph/hea_ora_hea_los_of_nat_tee-health-oral-loss-natural-teeth&b_printable=1), Georgia ranks as #9 out of 52 U.S. states for missing teeth. This particular statistic pertains only to those over age 65 “who have had all their natural teeth extracted." That means 28.2% of Georgia’s 65+ population had their natural teeth extracted. It’s no wonder that dental implants and dentures are so popular nowadays. But how do all of these people deal with their missing teeth problems? What are the solutions that many of these patients turn to? The answer: dental implants and dentures. If you live in Georgia, you might be surprised that it ranked in the top 10! But there’s no need to worry if you are among those with missing teeth. If you live in or near the Alpharetta, GA area and are looking for a dental implants dentist (or a dentist for dentures), call Dr. Brett Silverman. He understands that dental implants can fix the missing teeth problem that many patients suffer from. In addition to dental implants, Dr. Silverman also offers dentures and partial dentures. Are you ready for your consultation to see if dental implants or dentures are right for you? Just call our office or submit the form on our webpage to schedule your consultation appointment. Millions of people wear dentures (both full and partial dentures) so they don’t have to deal with problems that come along with missing teeth. In fact, dentures are a great way to replace lost or damaged teeth. But dentures also have many more benefits, improving the lives of many denture wearers. That’s the main topic of this article actually—5 ways that dentures can improve a person’s quality of life. You can speak more clearly. If you are missing teeth, you may find it difficult to speak clearly. Well that will change once you have a set of dentures. 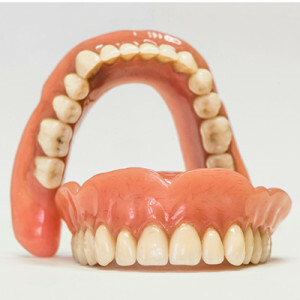 Whether you need full or partial dentures, you can look forward to speaking properly and clearly as if you had a mouth full of natural teeth. At first you may need a little time to get used to the new teeth. This is a normal process. Some patients practice reading out loud or pronounce tricky words in front of a mirror. You may need to learn how to speak slower so that your words aren’t muffled (source: http://www.mydentalhub.com/ada/index.php/portal/show/2e607bd1bc76b2/5/19). With practice, over time, you’ll get used to the dentures and communicate effectively again. You can eat normally and continue eating your favorite foods. When wearing dentures, you don’t have to stay away from your favorite foods any longer. You can continue enjoying your favorite meals without finding it difficult to bite or chew. Chewing will be easier with your new dentures. At first, however, you may need some practice. For instance, cutting the food into small pieces will help you get used to chewing normally. You may want to start out by eating soft foods and staying away from gum, hard foods, and sticky foods. Be sure to chew on both sides of the mouth so you can get used to the feel of your new dentures. In no time you’ll be able to eat normally! How would you like a quick boost in self esteem and self confidence? No longer will you feel ashamed or embarrassed by missing teeth. Dentures nowadays look and feel natural. You won’t have to worry about them falling out or slipping, especially if the dentures are anchored securely into place. We know you’ll love your new dentures and you’ll feel confident to smile once again! Do you know that missing teeth can cause problems with your health? Aside from an altered facial structure, missing teeth can cause issues with bone loss in the jaw region. So if you have missing teeth, get dentures or dental implants as soon as possible to prevent bone loss. Missing teeth can alter your facial structure, as mentioned earlier. For instance, your face may appear collapsed and wrinkles might appear more quickly. Dentures, however, help support the facial structure to appear more full and more youthful. Dentures improve quality of life, but they don’t last forever. Be sure to take care of your dentures and your mouth. Taking care of your dentures on a daily basis is very important to make them last as long as possible. 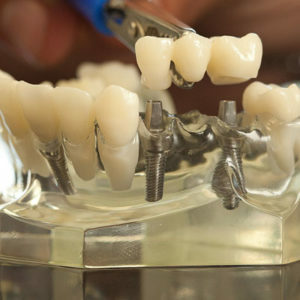 It is always a good idea, too, to see your dentist on a regular basis to ensure proper denture fit (source: http://www.denturehelp.com/pages/addf.html). In addition to taking care of your new dentures, always take good care of your mouth. Brushing your palate, tongue, and gums a few times each day is important. Use a soft bristled toothbrush so you won’t harm the gum tissue. Do this before putting your clean dentures back into the mouth. Also, always be sure to see the dentist regularly (once every six months) to ensure your teeth and gums are as healthy as can be. If you need a denture replacement or new dentures, call Dr. Silverman if you live in or near Alpharetta, GA! Dentures typically last about 5 to 10 years, but it depends on the patient, though. Throughout this time the dentures may need to be relined or rebased. As the mouth changes naturally over time, the fit of the dentures may change, and then you’ll need your dentist to fix them (source: http://www.mydentalhub.com/ada/index.php/portal/show/2e607bd1bc76b2/5/19). If you notice the dentures are fitting differently or they become uncomfortable, call your dentist as soon as possible. If you are interested in dentures, call Advanced Cosmetic and Family Dentistry at 678-245-6816. You can find additional contact details here. You can also watch some of our patient review videos by accessing this link. Can a Dentist Really Help You with Obstructive Sleep Apnea? In this article, we’ll look at ways a dentist can help you with obstructive sleep apnea (OSA). If you have no idea what OSA is, don’t worry—just keep reading because we’re going to talk a lot about OSA. Richards’s wife tells him quite a bit that he wakes up in the middle of the night gasping for air. His wife gets scared because he makes choking sounds. This frightens his wife, as you can imagine. But what is causing Richard’s gasping and choking sounds? Richard doesn’t know, and neither does his wife. All they know is that it’s frightening and it wakes both of them up from a sound sleep. This is a common scenario we hear from sleep apnea patients and their families. You see, obstructive sleep apnea occurs when the airway completely collapses while a person sleeps. This collapse causes blockage of the airway and the airflow into the lungs. This is why sleep apnea patients oftentimes wake up coughing, gasping, or choking. Unfortunately, many people don’t even know they have OSA. That is a serious problem in and of itself, considering how dangerous untreated OSA can be (more on this in a later section). Since this is such a common condition, we want you to be aware of the symptoms it causes. Be on the lookout for the common symptoms of OSA in yourself and in your loved ones. If you are experiencing any of these symptoms, schedule an appointment as soon as possible with your dentist or doctor. If you have any questions, call our dentist office (contact details can be found here). Is sleep apnea a serious health condition? How worried do you need to be if you’re experiencing a few symptoms mentioned earlier? Will the symptoms just go away on their own without treatment? Is sleep apnea a serious threat to my overall health? These are all common questions regarding obstructive sleep apnea. If you are diagnosed with OSA, it is best to start treatment right away. Untreated OSA can lead to serious health problems. So just remember, without accurate diagnosis and proper treatment, OSA can pose serious health consequences. How can a dentist treat obstructive sleep apnea? It is important to find a dentist who is properly trained and educated to diagnose and treat sleep apnea. Not every dentist can do this. Dr. Brett Silverman is trained and educated, though, to help his patients overcome OSA for a restful night’s sleep. A lot of doctors and dentists prescribe a CPAP machine to help patients, but it doesn’t work for everyone. As a matter of fact, many patients find them cumbersome and inconvenient. What’s the most common alternative to the CPAP? Oral appliance therapy (OAT) is oftentimes used to treat obstructive sleep apnea. Oral appliances have several advantages over the CPAP, and they are very effective, as well. With an oral appliance (similar to a sports mouthguard), it simply gets placed in your mouth before falling asleep. Then you remove it when you wake up in the morning. Cleaning it is simple, too. Overall, an oral appliance for OSA is safe and effective for those suffering from mild to moderate obstructive sleep apnea. Find out how Dr. Silverman can help your OSA problems Dr. Brett Silverman treats obstructive sleep apnea with an oral appliance instead of the CPAP machine. He understands the anatomy of oral structures, including the jaw (mandible). Dr. Silverman’s patients have found great success with noninvasive, custom-made oral appliances that hold the lower jaw slightly forward while sleeping, which prevents airway blockage. He can determine which one is best for your situation— a tongue retaining appliance or a mandibular repositioning appliance. The appliance will be custom made to fit comfortably in your mouth—you won’t get that comfortable fit with any over-the-counter sleep apnea device. If you live in or near Alpharetta, GA and are experiencing sleep apnea symptoms, call us today for an evaluation. Rest assured, we will help you get a peaceful night’s sleep with our oral appliance therapy for OSA sufferers. If you’ve been recently diagnosed with OSA and are seeking treatment from a local dentist or doctor, call Dr. Silverman today. You can meet with him during a consultation to discuss your situation and your unique needs. We look forward to providing you with effective OSA treatment for a restful night’s sleep. Diabetes causes many health problems, and that's a fact. But what about the connection between diabetes and oral health problems? Is there even a connection worth talking about? Yes, there is a connection and we are going to talk about this connection. So sit back, relax, and continue reading. Tooth decay is a serious issue for those with diabetes. If you have high or elevated blood glucose, you're actually feeding the bacteria that produces harmful acids. Then the acids erode healthy tooth enamel, which in turn causes tooth decay and possible tooth loss. It’s a fact that diabetics can lose up to twice as many teeth as those who don’t have diabetes. Unfortunately, “very few doctors” are following the American Diabetes Association’s recommendations to refer diabetic patients to a dentist, according to a lead researcher, Bei Wu who is also a professor of nursing and global health at Duke University in Durham, NC (reported on this webpage: http://consumer.healthday.com/dental-and-oral-information-9/misc-dental-problem-news-174/another-downside-to-diabetes-tooth-loss-705862.html). Doctors should understand that diabetic patients need to practice routine dental care. According to 2014 statistics, nearly 30 million Americans have diabetes, and there is an "increased prevalence of gum disease among those with diabetes, adding serious gum disease to the list of other complications associated with diabetes, such as heart disease, stroke, and kidney disease." Furthermore, research indicates that "gum disease progresses more than twice as fast in people with diabetes as in those without." It is very important to control your diabetes as best as possible if you want healthy teeth and gums. If you don't control diabetes, it is more difficult to treat gum disease. If you have diabetes, it is best to take care of your teeth as best as possible. This includes routine cleaning and checkup appointments with your dentist as often as he or she recommends for your unique situation. controlling your blood glucose levels. This can help to relieve or control dry mouth that's often caused by diabetes. Also, high blood sugar levels can impair your body to heal from oral infections, which makes you more susceptible to gum disease. taking care of your teeth and gums with regular checkups and teeth cleanings every 6 months or as often as your dentist recommends. removing your dentures (if you wear them) on a daily basis to clean them. avoiding smoking cigarettes and nicotine products. If you are diabetic and are concerned about your oral health, call Advanced Cosmetic and Family Dentistry today. We can schedule a checkup appointment with you to give you the dental care you need and deserve.